Mary E. Rhodes was born on 4 March 1894 in McKeesport, Allegheny County, Pennsylvania. She married George Aldous Rushton, son of George Rushton and Mary Sophia Aldous, on 25 August 1913. George Aldous Rushton and Mary E. Rhodes appeared in the US federal census of 1 April 1930 in Niagara Falls, Niagara County, New York, at 1613 Weston Avenue. Other members of the household included Edward Millard Rushton, George Alva Rushton, Charles A. Rushton and Mildred M. Rushton. The following appeared on 20 January 1939 in The Niagara Falls Gazette: Mrs. George A. Rushton has returned to Monteagle avenue, after attending the wedding of her son, Edward M. Rushton, and Miss Dorothy Louise Zadek, in Montgomery, Ala. The following appeared on 14 February 1941 in the Niagara Falls Gazette: The funeral of Andrew B. Rhodes, retired Falls school stationary engineer, who died in Freeport, L. I., on Monday, was held yesterday from the home of his daughter, Mrs. George Rushton, 720 Monteagle street, with burial in Riverdale cemetery. The Rev. Dr. S. S. Davies officiated at the funeral. Pallbearers were Charles O. Ford, George Rushton, Elmer J. Young, Clark Steele, Thomas J. Ryan and Albert E. Beam. The following appeared on 5 October 1945 in The Niagara Falls Gazette: In loving memory of our mother, Ella B. Rhodes, who passed away nine years ago today, Oct. 5, 1936. But in our hearts she liveth still. 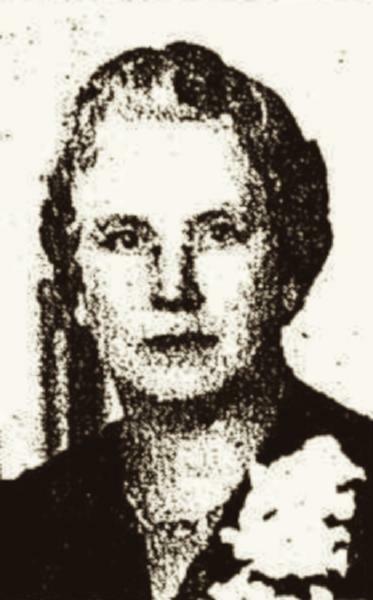 The following appeared on 13 June 1952 in The Niagara Falls Gazette: Mrs. George Rushton, 720 Monteagle street, was honored at a reception last night by Niagara River Triangle 120, Daughters of the Eastern Star, during a meeting in the Masonic temple. Mrs. Rushton recently was elected to the state advisory council of the Daughters of the Eastern Star. Miss Rosemarie Cannaby, queen, presented a corsage to Mrs. Rushton, and a special degree was conferred on Mrs. Rushton by a drill team. . . . The SSDI lists Niagara Falls, Niagara County, New York, as the last residence of record of Mary E. Rhodes. George Aldous Rushton became a widower at her death. Mary E. Rhodes died on 21 December 1973 at age 79 in Niagara County, New York. A single grave marker identifies the graves of George Aldous Rushton and Mary E. Rhodes.